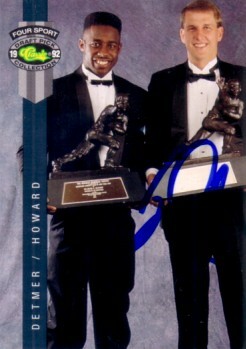 1992 Classic Heisman Trophy winners card autographed in blue by former BYU Cougars star quarterback Ty Detmer (card is NOT signed by Desmond Howard). Obtained in person, with certificate of authenticity from AutographsForSale.com. ONLY ONE AVAILABLE FOR SALE.